Me very bad blogger. Haven't written since my first post. It's been hard to find time whilst on holiday. Clearly I have a lot to learn! Today I'm beginning a series that my friend A suggested (thanks for the idea!) called "This week I smiled because". Every week I'll look back and remember one thing that made me smile every day. This is a piece of cake because lately I've been blessed with many, many things to be grateful for! Monday: My best friend M and I arrived in beautiful Nice. We had a memorable French dinner full of giggles. We were in such a good mood and so happy to be on holiday together. Tuesday: I relaxed on the beach all afternoon. I admired the beauty of the sun, the sea, and where they met in the sky. Wednesday: We went to Grasse, a french town famous for its perfumeries. "Perfume" by Patrick Süskind is one of my favourite novels of all time, and I couldn't believe I was in the town where the plot climaxes. As we wandered the small winding alleyways filled with little shops and bars, I tried to imagine Grenouille, the protagonist, floating through them in a daze, chasing invisible scents. 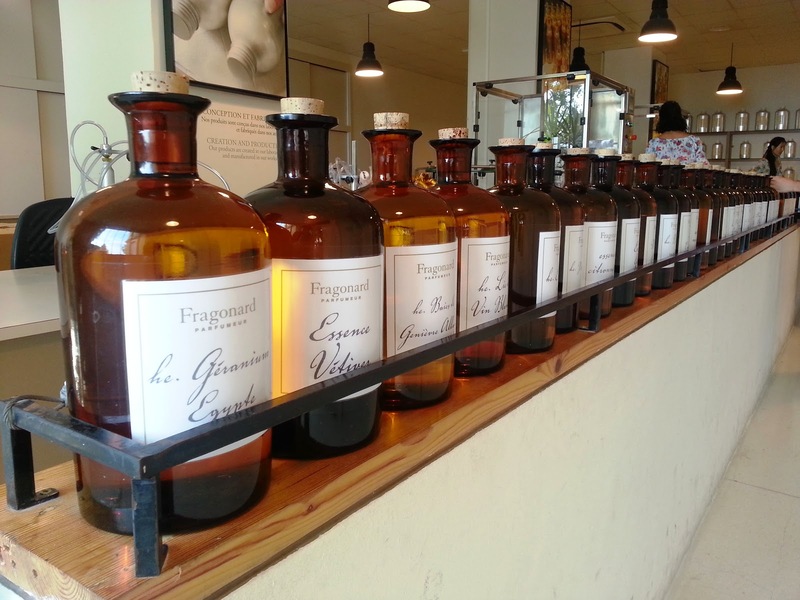 We did a tour in a perfumery called Fragonard that smelled absolutely delicious! In Grasse, the city of perfume. On tour in Fragonard perfumery. These old original scent bottles are too degraded to use now, but are too beautiful to throw away! Thursday: We went on a pub crawl in the evening - not our usual thing, but we befriended some incredibly friendly and fun fellow travellers who made the night really memorable. We laughed and danced for hours. 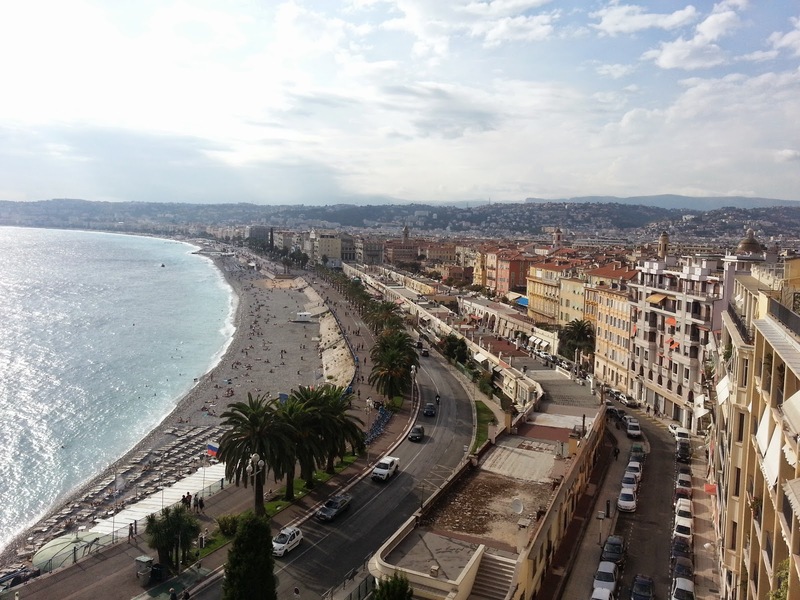 The famous Nice Promenade des Anglais and all of its crowded beaches. 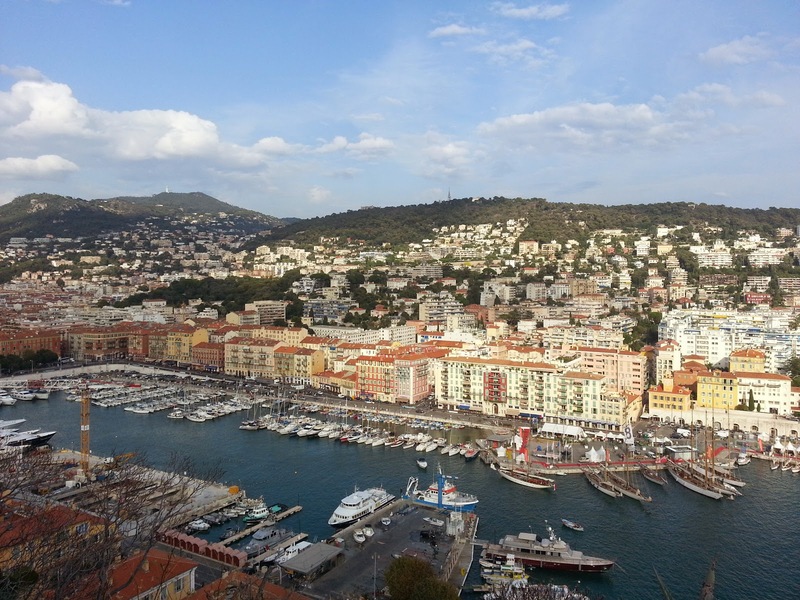 I love how the buildings of Nice rise into the hilltops over the beautiful port. This view is from the Parc du Chateau, the site of the old castle ruins on the beachside clifftop. Friday: We arrived in Florence after a hellish train journey that, due to a huge delay right at the start, involved 2 harrowing changeovers that we only just made. We were hot and sweaty from dragging heavy luggage through unfamiliar stations. We couldn't believe we got to Florence on time, and we're still laughing about it! Saturday: We had such a relaxing day walking around Florence, eating delicious Italian food, taking silly photos on the famous Ponte Vecchio bridge, enjoying the sunshine, then right at the end of the day, watching the sun set from the top of the beautiful Piazzale Michaelangelo hilltop. 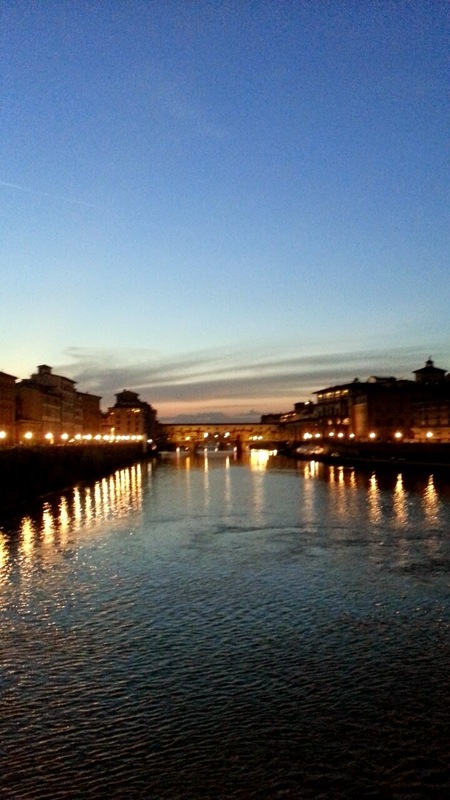 My last look at Florence over the River Arno - so pretty at night! Sunday: I caught up with my friend J, talking on Skype until 4am (crazy!) What's not to smile about? Even though I'm sleep-deprived (when am I not, really? ), I'm excited to be in Milan by the end of today. Can't wait to tell you all about it soon!